According to CNN, Twenty-two children and six adults died when a bus crashed into the wall of a tunnel in Switzerland, police said. Another 24 children were injured in Tuesday night's wreck, authorities said. Three children are hospitalized in critical condition, Jean-Pierre Deslarzes, medical chief of the Canton Valais rescue organization, told a news conference Wednesday afternoon. Others are expected to be discharged from the hospital in the coming days. The bus was on its way back to Belgium after a ski trip when it slammed into the side of a highway tunnel in Sierre in the Swiss canton of Valais. 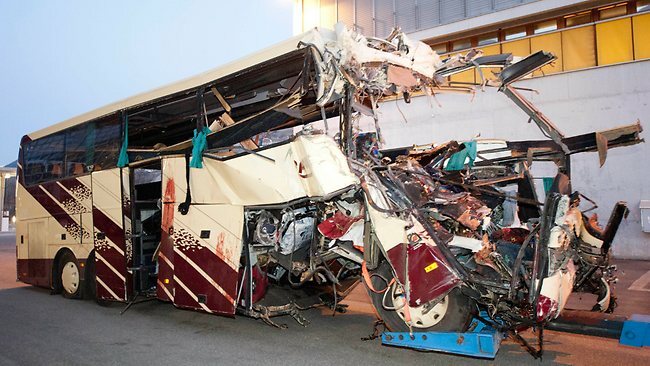 It was carrying 52 people: two drivers, four other adults and 46 children, aged 11 and 12 years old.